The main aim of the sociology of childhood or the “new” sociology of childhood is to study the attitude of the society toward the children and the reaction of the children to this attitude and to the whole world. Children are considered as active social actors who are capable to interpret different events which take place in the world and as active social actors who have rights to take part in the decision making processes, concerning their well-beings. Even young children are the part of this process because they have “the hundred of languages” (drawing, photo, play, etc.) to be not excluded from the society. In what areas the sociology of childhood can be applied? Below you will find several examples from my practice. 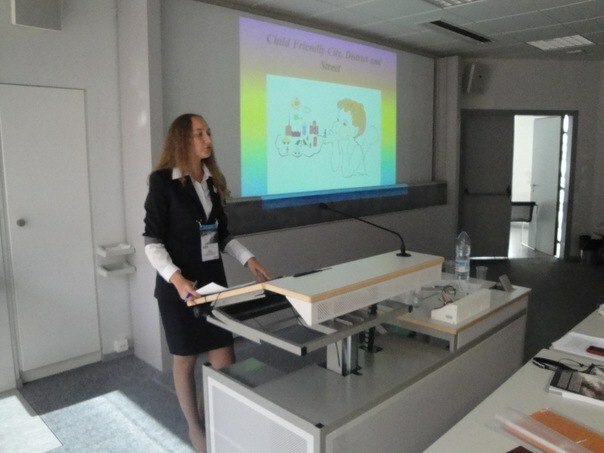 I conducted several researches the results of which were discussed at different conferences, and I also participated in several worldwide and national competitions. 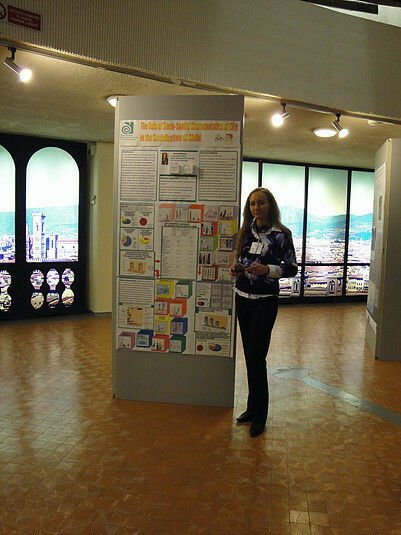 The project "The Role of Socio-spatial Characteristics of City in the Socialization of Child" (2007-2011). 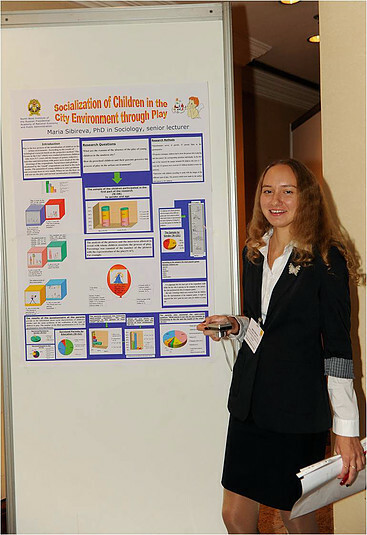 The conducted researches, in which more than 200 children and their parents took part, revealed the main problems in the urban environment. The researches also tried to answer the question what it is necessary to do to make the space of the city accessible and safe for children, what we must do to make St.-Petersburg friendly to the small inhabitants (Sibireva M. The Influence of Megacity on the Socialization of the Child (XVII ISA World Congress of Sociology “Sociology on the Move”. Gothenburg, Sweden, 11-17 July 2010: conference abstracts / founding ed. L.P. Chall. - Gothenburg: ProQuest, 2010). 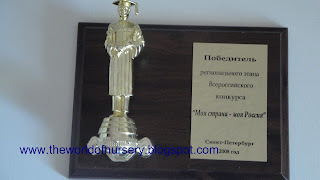 The winner of the regional stage of the All-Russian competition directed on the social and economic development of the territories "My country - my Russia". "Child in the City" project, 2008. Conference "Child in the City", Florence, Italy, 2010. The project « Socialization of Children in the City Environment through Play» (2012 - present time). and also in this blog. 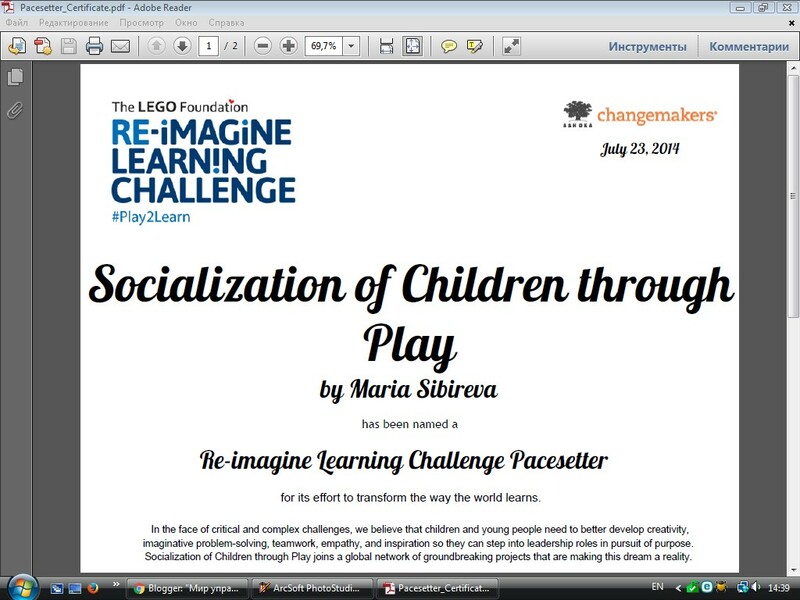 The project "Socialization of Children through Play" is the semifinalist of the competition organized by Ashoka and Lego Foundation. The project tries to answer the question: "How can the sociology of childhood help to teachers, social workers and other people who work practically with children?'. Every research is a long, difficult process demanding the special preparation and the knowledge in the field of sociology. Without serious scientific researches it is impossible to do "a priori conclusion" based on the memoirs of own childhoods and on the various conjectures, and it is impossible to simply transfer these "cliches" on the modern children. The conditions of our life vary constantly, the childhood varies also, it needs to be studied seriously. And the earlier we shall understand it, the greater troubles and problems we shall avoid in the future. 1.My Impressions of the Work of the Research Network 04 "Sociology of Children and Childhood". 2.Sociology of Childhood. Child in the City. 4.Research Committee 53 Sociology of Childhood: The new edition of the newsletter. 5. 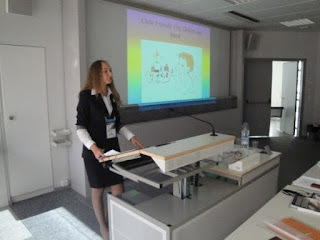 Some Reflections on the Session «Sociological Aspects of Children's Play Activity» (Third Forum of the International Sociological Association (ISA): ‘ THE FUTURES WE WANT: Global Sociology and the Struggles for a Better World ’).